Your new book The Great Big Veg Challenge is an absolute wonder! Yesterday, the postman handed it over just as I set off to walk the dog. Too curious to wait, I took what was supposed to be a quick peek. Thirty minutes later, I was still sitting in the shade in the front yard with a now-impatient dog, slowly paging through the book, smiling at the drawings and photographs, enjoying the sheer fun of watching you meander your way, A - Z, through the alphabet of vegetables. In Cabbage, Freddie, I laughed out loud when reminded that when you first ate potato, cabbage and rapini colcannon, you said "This is heaven," and asked, "Are you really sure there is cabbage in this?" This from you, Freddie, the boy who wanted to 'get the cabbage over with, quick'! In Celery and Fennel and Kohlrabi and Kale, I paused to check out particularly tasty-looking recipes (kale chips? gotta do that one!). Thanks for all the new kid-friendly vegetable recipes! Soon I was feeling choked up about what you've done, you three, most importantly for yourselves, but for any of us, especially children, who might be turned off by scarey-looking peas and nasty-tasting zucchini. Well done, Charlotte, Freddie and Alex (and Chris, too!). WELL, WELL DONE. 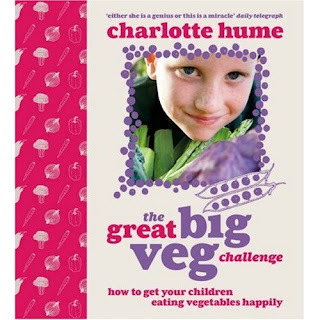 Parents and grandparents, loving aunts and uncles, if you're looking for inspiration about how to make vegetables into a big adventure, you're going to love the new cookbook from the UK's Charlotte Hume who is mum to Freddie, the boy who a year ago systematically refused all vegetables except potatoes and sweetcorn, and Alexandra, his food-adventurous big sister. It all started over peas, Freddie negotiating to eat just two off his plate. 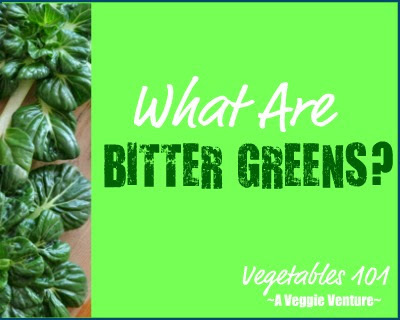 Then Charlotte started the blog, The Great Big Vegetable Challenge, to make a game out of vegetables. Together, they would cook two recipes for every vegetable, A - Z, Freddie would give them points out of ten, they would post the recipes and the ratings (good and bad!) on their blog. Turns out, Freddie likes most vegetables, especially if there's cheese or bacon in close proximity, but even when there's not. Turns out, he's quite an ambassador of vegetables! 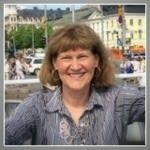 Along the way, a publisher asked Charlotte to write a book about their journey and so last week, when the family celebrated the end of the alphabet by holding a zucchini party -- the book was launched too! "The Great Big Vegetable Challenged turned orange the same night as the lunar eclipse. We all stayed up to watch the moon turn a muddy orange colour and baked a carrot cake in its honour. I know people might think that cake is a cheat's way of eating vegetables. Maybe they're right. But I like to think that making cakes with vegetables is a kind of aversion therapy for fussy-eaters. The more exposure to vegetables, the less hysteria. If Freddie enjoys carrot cake, he can't claim to hate carrots." Won't you step on over to The Great Big Vegetable Challenge to offer congratulations?! Tell them this 'veggie evangelist' loves their book and that she is proud, really really REALLY proud. This was one of Freddie's favorite recipes, he gave it 10 out of 10 points and liked that the recipe came to him from families in America. I made it for lunch yesterday, so now the recipe has come full circle. Preheat the oven to 400F (200C, Gas 6). In a frying pan, heat the olive oil on a medium heat. Add the onions and fry for 3 minutes until they start to soften and become translucent. Add the grated courgette, garlic and grated ginger. Sauté for 3 minutes, stirring continuously. Make sure the courgette and onion mix does not burn. Turn off the heat and season. Lightly brush one side of each tortilla with oil. Place four tortillas, oiled side down, on a sheet of baking parchment paper on a baking tray. Take half of the cheese and sprinkle it evenly amongst the four tortillas. Divide the courgette mixture equally between your four tortillas and sprinkle it on top of the cheese. Then add the remaining cheese on top. Place another tortilla on top. Gently press with a spatula to compress the quesadillas. Place in a preheated oven for 8 - 10 minutes, until the edges of the quesadillas curl up slightly. Slice into quarters and serve hot. Way to go, what a fun book. Very cool! thanks for the heads up. Monkey isn't a picky eater but loves books that explains food with recipes that she can enjoy. I look forward to reading it myself. Perhaps! Like a proud momma would! Wow! For a kid to like something with cabbage in it, it must be good. I'll have to tell my brother about this book. His youngest one is a vegaphobe, much to her Auntie Susan's chagrin.